If you feel a bit unique, with a dash of one of a kind, maybe Sapphire with Mokume Gane is ready for you? 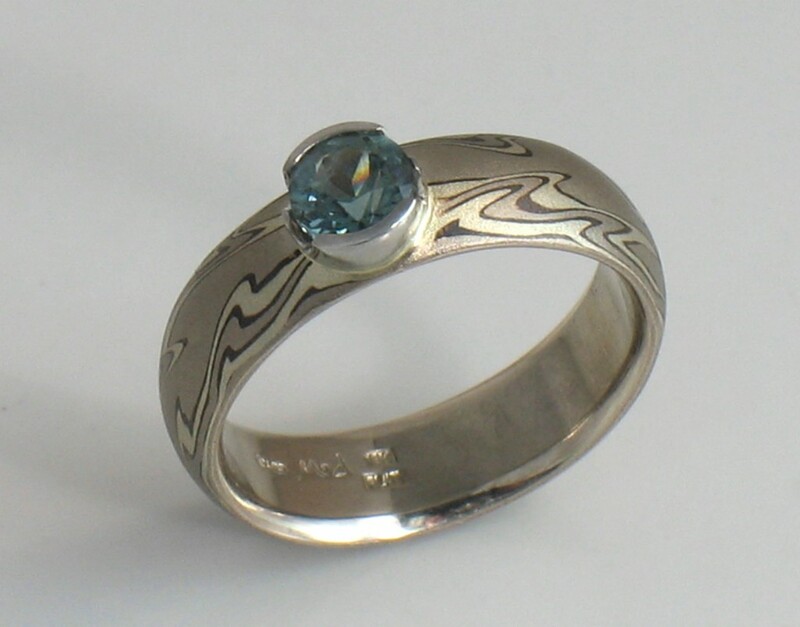 We craft much of the jewelry we sell, but we enjoy offering the work and art of dozens of artists and designers in our store including the Mokume Gane designs of Michael Daniels. They have taken Mokume Gane (wood grain on gold) to a higher level with the crispness of their designs.